travel tips to prevent back pain. Preventing back pain tips from Chiropractor NYC-Dr. Steven Shoshany D.C, C.C.E.P. I wish everyone a Happy 4th. of July, If you are traveling this weekend read this article from the American Chiropractic Association below on ways to prevent Back from travel. "Prolonged sitting can wreak havoc on your body," says Dr. Scott Bautch, a member of the American Chiropractic Association's (ACA) Council on Occupational Health. "Even if you travel in the most comfortable car or opt to fly first class, certain pressures and forces from awkward positions can result in restricted blood flow. One of the biggest insults to your system from prolonged sitting is the buildup of pressure in the blood vessels in your lower legs. Contracting and relaxing the muscles helps the blood flow properly." Consider a back support. Using a support behind your back may reduce the risk of low-back strain, pain or injury. The widest part of the support should be between the bottom of your rib cage and your waistline. To minimize arm and hand tension while driving, hold the steering wheel at approximately 3 o'clock and 7 o'clock, periodically switching to 10 o'clock and 5 o'clock. Stand up straight and feel the normal "S" curve of your spine. Then use rolled-up pillows or blankets to maintain that curve when you sit in your seat. Tuck a pillow behind your back and just above the beltline and lay another pillow across the gap between your neck and the headrest. If the seat is hollowed from wear, use folded blankets to raise your buttocks a little. Check all bags heavier than 5-10 percent of your body weight. Overhead lifting of any significant amount of weight should be avoided to reduce the risk of pain in the lower back or neck. While lifting your bags, stand right in front of the overhead compartment so the spine is not rotated. Do not lift your bags over your head, or turn or twist your head and neck in the process. Ask the airline for their policy on child car seat safety. Car seats for infants and toddlers provide added resistance to turbulent skies, and are safer than the lap of a parent in the event of an unfortunate accident. Make sure the car seat is appropriate for the age and size of the child. A newborn infant requires a different seat than a 3-year-old toddler. "If you follow these simple tips, you can enjoy pain-free, safe travel," says Dr. Bautch. "If you do experience pain and stress on your back, doctors of chiropractic are trained and licensed to diagnose and treat problems of the spine and nervous system." We will be open Monday morning July 6th. for those sprained backs and tennis injuries! 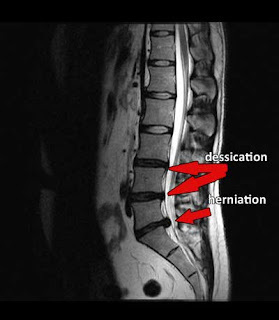 DRX 9000 NYC, sciatica nyc, herniated disc nyc, non-surgical spinal decompression. Labels: back pain nyc travel tips to prevent back pain.